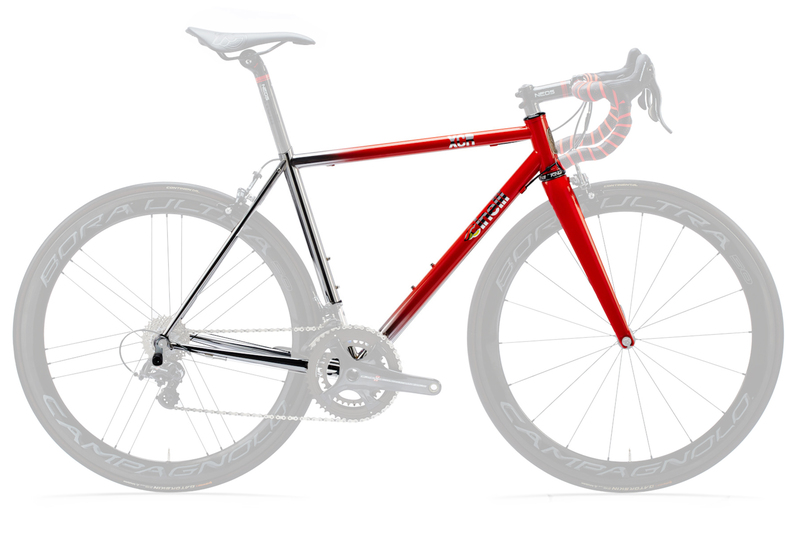 The XCR is a shining example of the craftsmanship of the frames produced by Cinelli, made with the best materials and the highest technological quality. XCR is a seamless biphasic stainless steel tube, allowing the construction of a light, durable frame. The exclusive microscopic structure of XCR tubing has a particular elastic response, for unique handling that creates a more direct, spontaneous bond with the road, especially in downhill stretches at high speeds. XCR also has a better weight/stiffness ratio when compared to aluminium and titanium alloys used to make bicycle frames. The XCR is available in 5 sizes. Custom geometry is also available for an extra charge. Please allow 6 months for your XCR frame to be hand built in Italy.